UPDATE!! I am now up to $1,570 of my $2,000 goal! Only $430.00 left to go! 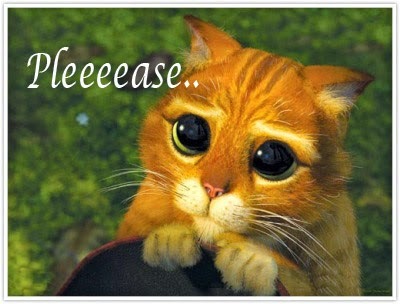 Help me make the final push! Click here to donate! OK. I'll admit it. I'm starting to get a little nervous. 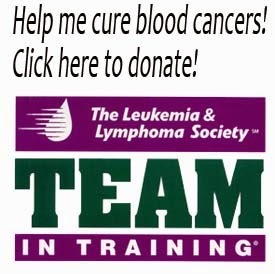 I am behind on my fundraiser for the Leukemia & Lymphoma Society. Last year the donations came in fast and furious, but this year has been a little more difficult. I have raised 30% ($710) of my goal of $2,000. Thank you so much to those of you who have donated so far. I am going to hit this goal no matter what. If I fall short I will cover the remainder out of pocket. But if you are one of the readers who hasn't donated yet but is considering it, you'd be doing me and cancer research a huge solid if you clicked here and tossed a few (or a bunch) of bucks. I'm not doing this to get free admission to the marathon. I have seen first hand the good that the Leukemia & Lymphoma Society does. They support families through treatment. They fund research. They create a community of support for those fighting cancer that I am so proud to be a part of. In case you want a break down of where your money goes, you can look here. If you can't, or don't want to donate that is totally, completely OK. I value and appreciate your readership. I feel like we have a community here and on the Facebook page that is much more than a one way street. When I first started to get a lot of readers, I was overwhelmed by two things: gratitude, and doubt. I doubted I deserved the attention my little blog was getting. I still do. There are so many amazing writers, parents, and websites out there - the fact that you keep coming back to mine is something I never want to take for granted. So if you can't/don't want to donate, it is not a big deal. I'm just glad your here. If you are on the fence. If you are being indecisive. If you are waiting. Wait no longer. Please donate, or share this with folks you think might be interested in donating. It will be a huge favor to me, and a wonderful kindness for those who currently have or may get cancer someday. You can click to donate on the side bar widget, or click here, or click the picture below. SO MANY OPTIONS!! $25 isn't a lot (day care costs a fortune) but I hope it helps! You are a solid human for doing this. Good on ya. $25 is a lot to me!! Katie, you rock. Thank you from the bottom of my heart. I, too, know the sting of a monthly daycare bill. Your kindness will spread exponentially through the universe forever. I don't really know what that means, but it sounded nice. Fabulous work John, and in a way that my therapist could explore, I kind of feel like Im doing the marathon too if I just sponsor you....I know it wont use any calories, but I will FEEL like I have run with you. Good stuff! Would you be interested in posting your effort to my blog? It is, admittedly, a lacking, work in progress but I would relish the chance to learn how "guest blogging", or what have you, works. It is understandable that you might not want to be affiliated with such a rookie upstart so maybe there's another way I can spread the word on my blog? Thanks so much for your help Mike! !